It has been proved that beautiful photographs have great potential to attract huge traffic to your website. 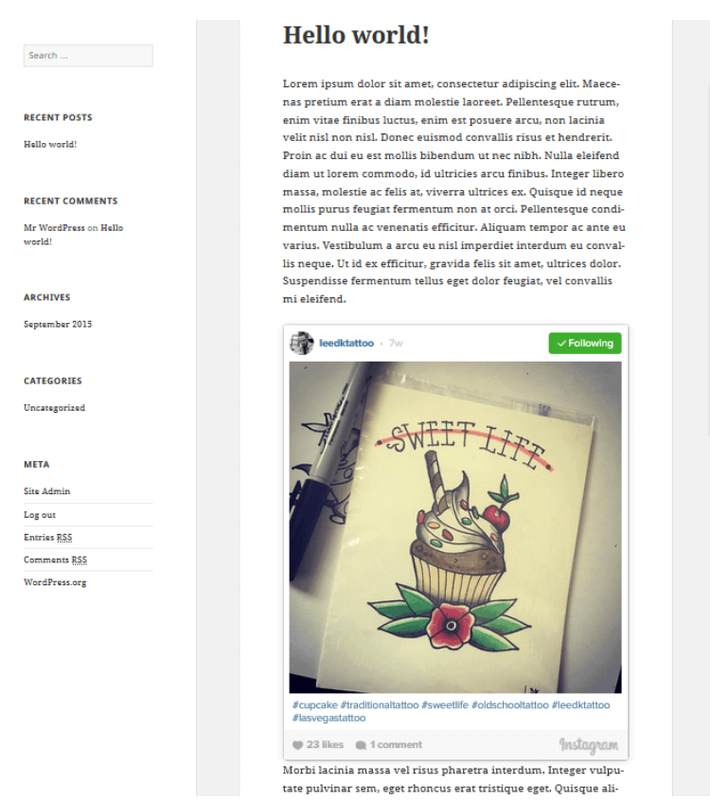 And what can be a better idea than displaying your Instagram pictures on your WordPress blog. Instagram currently has more than 280 million active users. With that big a number, we don’t think there is any need to tell you how you can benefit by integrating your Instagram account into your WordPress website. Showing your Instagram pictures on your WP blog has many advantages for bloggers and entrepreneurs. Firstly, it helps you gain traffic to your site, which consequently can help your business grow faster. Secondly, if you have a good skill at capturing beautiful moments through your photography, you can quickly increase your followers through those pictures on your blog. You can then continue to keep them engaged with the brand that you have created so far. Many entrepreneurs are taking full advantage of Instagram to build a relationship with your followers by engaging them with their stunning posts. This also encourages their followers to share the content with others which ultimately is only increasing your outreach. Not just this. Your pictures can also help you increase brand awareness by sharing information through visual effects that appeals to people much faster than your written content would. Afterall, only a glance is enough to do its bit. There is so much you can do with pictures and videos. In today’s post, we will tell you how to automatically post your Instagram pictures on your WordPress blog. 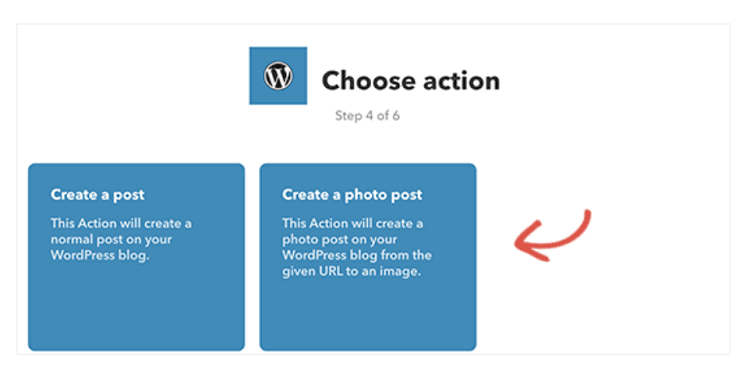 But before that let’s see how to keep your personal stuff private and still connect your Instagram posts to your WordPress blog. 2 How To Post Your Instagram Pictures On Your WordPress Blog? Not everyone Instagram user likes keeping their accounts open to the public. If you are a new user and is one of them then you might be wondering how to keep your personal stuff private if your posts automatically get shared on your blog. Well, that is not a very tough thing to do. You just need to create another account which is meant only for those pictures that you want to be shared on your blog. You can keep this account open to the public so that your feeds get displayed to other users and you get discovered by them. The key to gain more followers on your Instagram account is to be very creative with whatever you post on your account. so try bringing out the most artistic side of you and see how your insta account gets flooded with thousands of followers. That being said, let us now move on to see how you can display your new Insta posts on your WordPress blog. 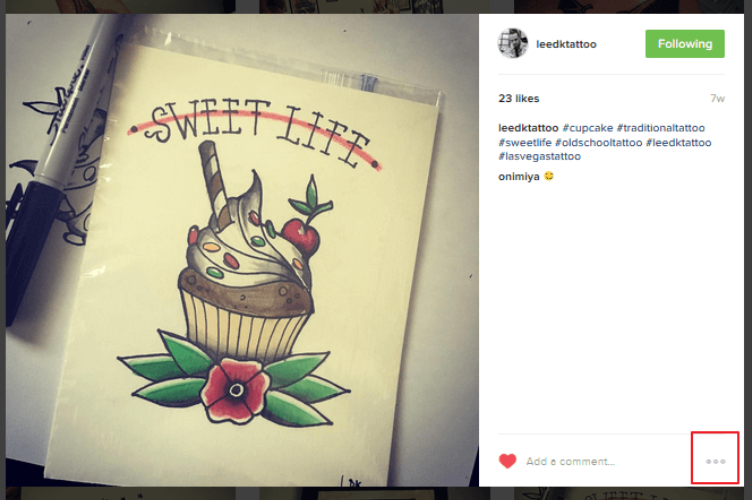 How To Post Your Instagram Pictures On Your WordPress Blog? 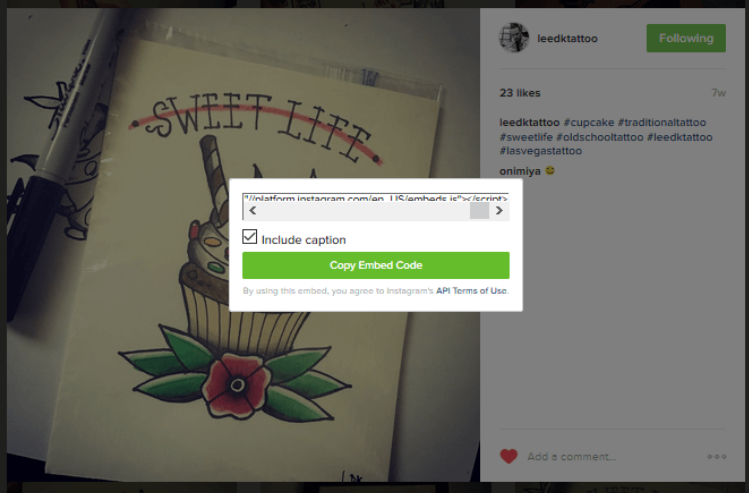 There are two methods by which you can post your Instagram pictures on your WordPress blog. Let’s see each one of them in detail. With the release of the WordPress version 3.5, you have the possibility of embedding your Instagram pictures directly on your website. To do that the first step obviously is to open an account through which you want your pictures to be shared. Once your account is active, you can start sharing your pictures and follow people of the same interest group. As mentioned earlier, you should keep your account settings open to the public if you want more followers to follow your posts. By doing so your pictures gets reflected on other users feed and people can even follow you for more updates. Now if you want your pictures to be shown on your blog or website, every time you upload a new picture, you will have to find out the embed link of the picture that you want in your blog. You will find this link just next to the comment box.click on the three dots and you will find three options being displayed. Click on the embed option and click on the copy embed code option. A message on your computer screen will confirm that your link has been copied once that is done. In the next step, you will have to paste the embed code that you have just copied. To do that open your WordPress website dashboard and go to the page where you want your picture to be shown. Now paste the embed code on your WordPress Text Editor. And there you are. Your Instagram picture will now be reflected on your WordPress site too. Another way to do it is by simply copying the image URL and pasting it on the text editor of your site. The images that you will see on your site is generally of 612 px width. If that is the size you want for your images, you can directly paste the code on your site’s text editor. But if you want a smaller or bigger size of the image, you will have to use the following code to alter its size. The image that you will now see on your blog will have a width of 550 px. You can set the image size as per your need. Sharing your instagram posts on you blog or website by this method is one of the simplest ways and it needs no coding or other professional knowledge of web design. This method works beautifully on almost all types of websites and can be done on sites that are powered by WordPress too. Sometimes you might want to dedicate one a full blog post to display the images that you just uploaded on your Instagram account. In this step we will tell you how to do it. For that, you will first have to open an account on IFTTT. For those of you who doesnot know what IFTTT is, it is a platform through which you can bring all your apps together and each of them can interact with the other and help you stay even more connected with your friends and followers. IFTT is a free online tool and there are no charges for using it. Once your account is created and you are logged into your account, you will need to find the MyApplets option. When you click on this option you will see another option which says NewApplet. You will now have to click on this option to get started. 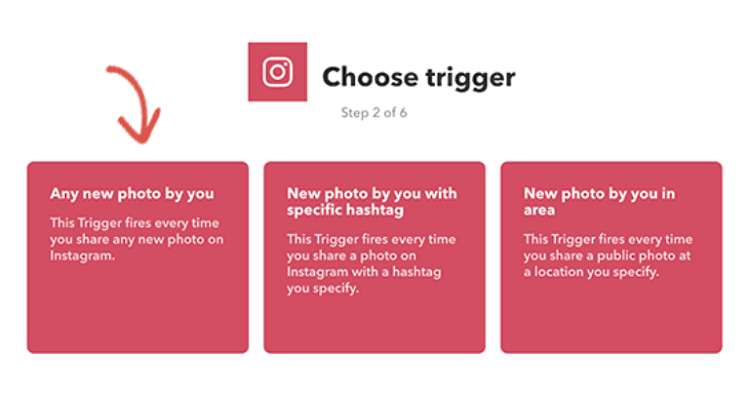 In the next step you will have to connect your Instagram account by locating Instagram on IFTTT. For doing that you will see an option saying ‘+this’. You can click on this option and locate Instagram to activate your account. Now that your Instagram account is activated, you will be asked to login to your account and authorize IFTTT to access your account. Following this, you will be asked to choose a trigger. This will take you to an option which says, ‘If this then +that’. Click on the +that statement. This step will help you select what exactly you want to do with your pictures. 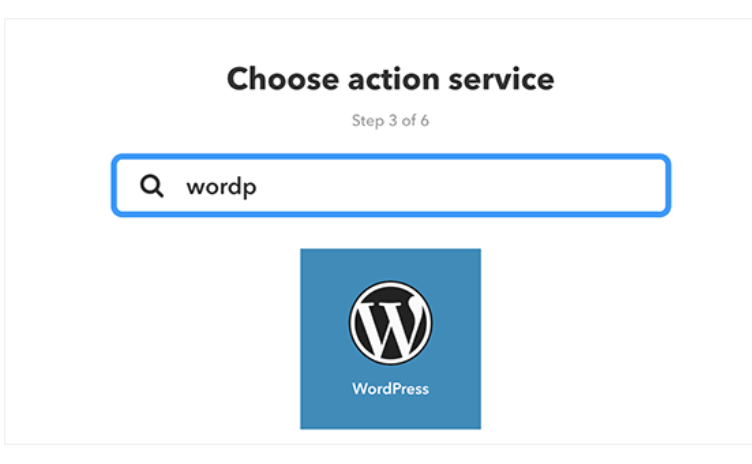 In the third step you will have to locate WordPress as your action service. 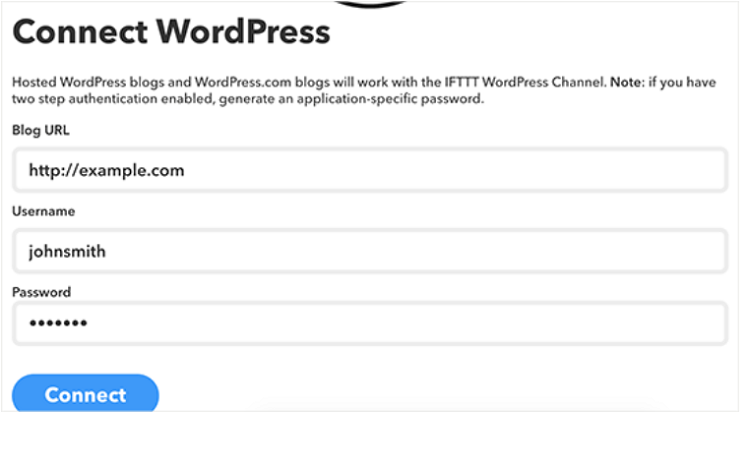 You will now be asked to connect WordPress to IFTTT. A popup box will appear with the connect option. Click on the Connect button after entering the URL of your WordPress site, the admin username and your password. Now you will have to select the action that you want to take. This can be done either by creating a blog post with new Instagram photos or create an entire post for photographs. Suppose you select the option to create a photo post. 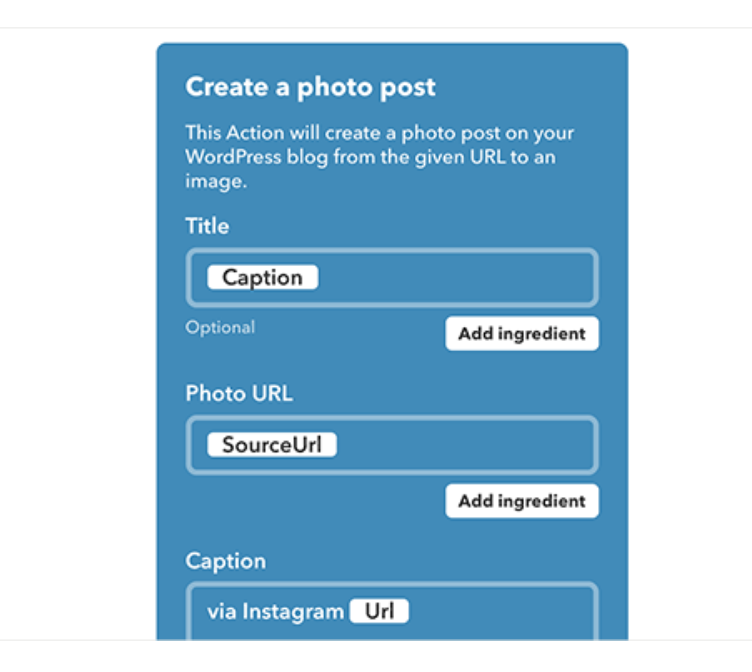 For either of the options, you will have to map your Instagram fields to your WordPress site. For this you can fill up all the fields that you think is important for you. For example, you can add alt tags, custom caption etc. The last thing for you now is to save your settings by clicking on the finish button. And that’s it. You are ready to share all your Instagram pictures on your WordPress blog.Just go ahead and upload a beautiful picture on your Instagram account and check for the same picture up on your blog. Our third method to make your Instagram pictures appear on hyour WordPress blog is by using a plugin. We will use the plugin called Instagram Feed by Smash Balloon which is a free plugin that can be downloaded directly on your WordPress site’s dashboard. By using this plugin you can skip all the repititive work of embeding the code or writing a code each time you want your pictures on your blog. 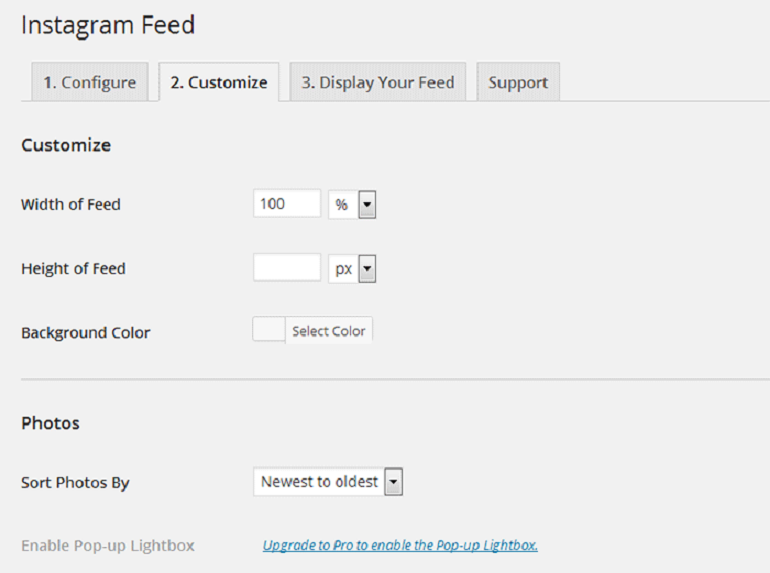 After the plugin s installed on your site, you will see the plugin name appear on the left side of your admin panel. Configure option of the plugin settings. 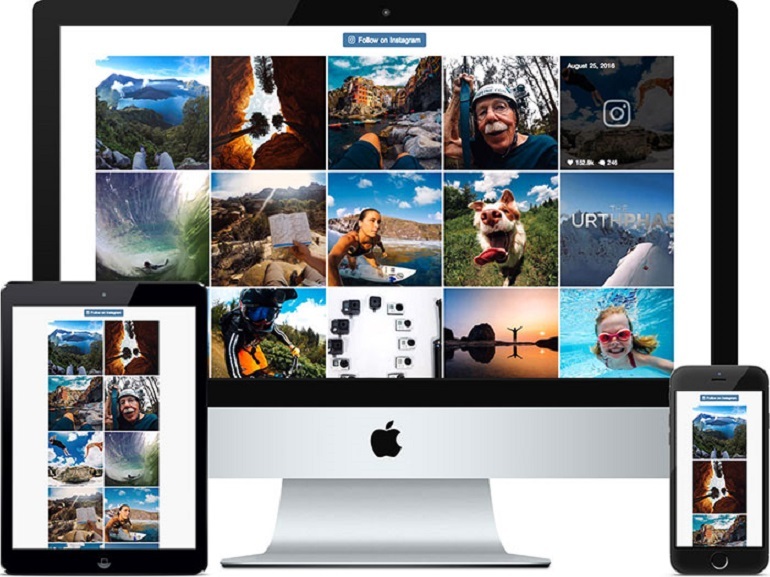 By doing this you will allow the plugin to access your photos on Instagram. The plugin will then bring you back to the plugin page in WordPress with your access token and user ID which will be already generated. 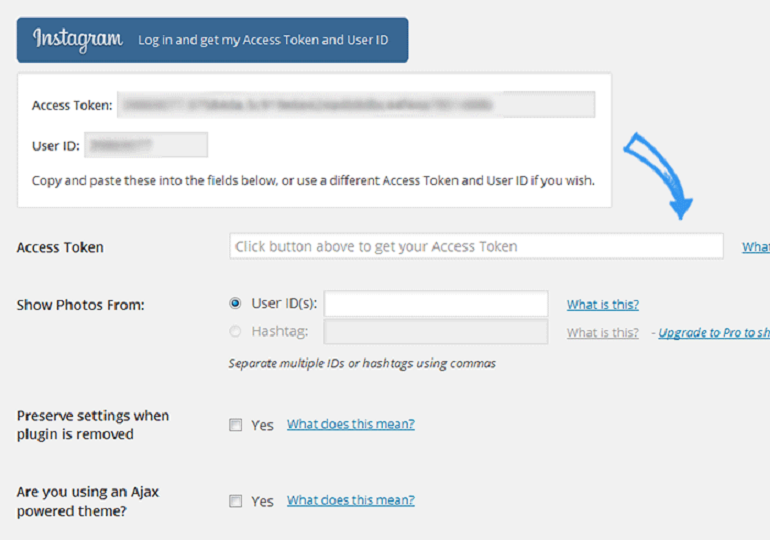 Copy the Access token and User ID and paste them in the boxes as shown below. Save the changes that you have just made and move on to the Customise tab. In this section you can size of your feed. This part also allows you to set the background color of your feed. 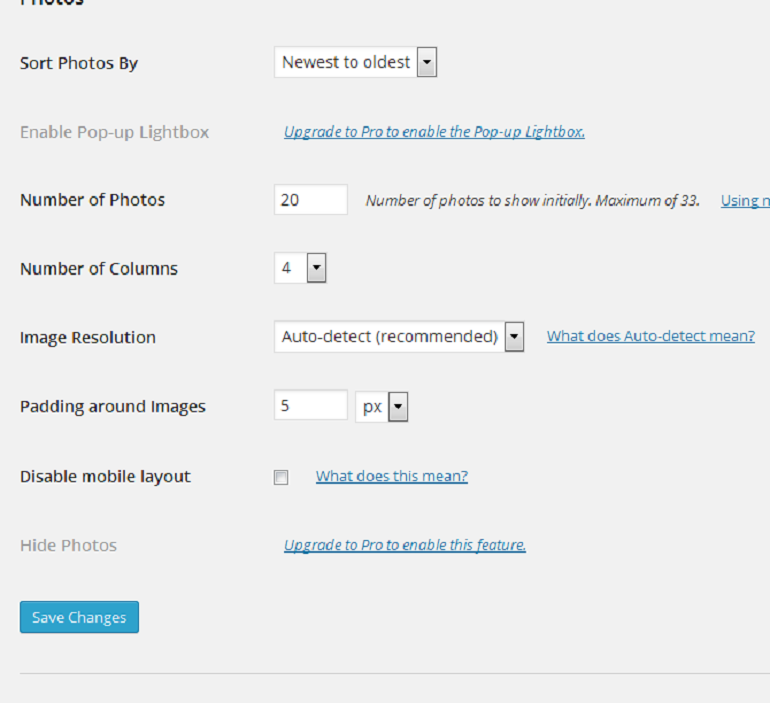 You can even set how many pictures you want to display in each columns. For the image resolution option, although by default the plugin recommends the auto-detect option, you can set your own image resolution if you want. You also have the liberty to change the padding and the spacing between the pictures. When you are satisfied with the changes that you have made, go ahead and save your settings. 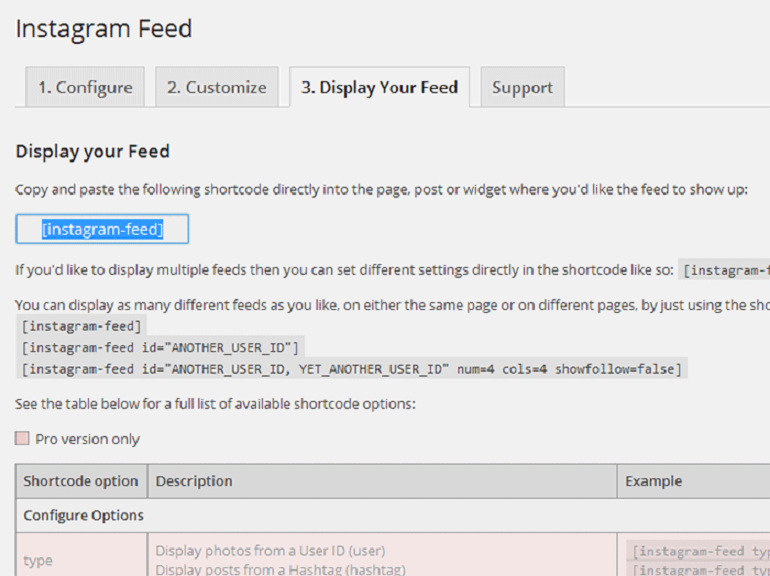 In the next tab, you will see the Display your feed option. In this tab, you will see a shortcode for your feed. With this shortcode, you can make your pictures visible on any part of your website. You just need to copy this code and paste it into the text editor or the widget text element. If you want your photos to appear differently on your website, you have an option for that too. However, you will have to upgrade your plugin to the Pro version to enjoy services like displaying hashtag instead of the pictures and so on. Apart from the one mentioned above, you can try out the following plugins to make your Instagram pictures visible on your WordPress blog. This is an amazing WordPress plugin that will help you display your Instagram posts directly on your blog. This is one of the most elegant, responsive and flexible plugins that is compatible across different browsers. It comes with tons of amazing features. From specifying your picture location, adding multiple hashtags, pulling in popular posts from Instagram feed and more, this plugin allows you to do so much flexibility that you are definitely gonna love it. The WP Instagram Widget is a free WordPress plugin that has more than 200,000 active installations. 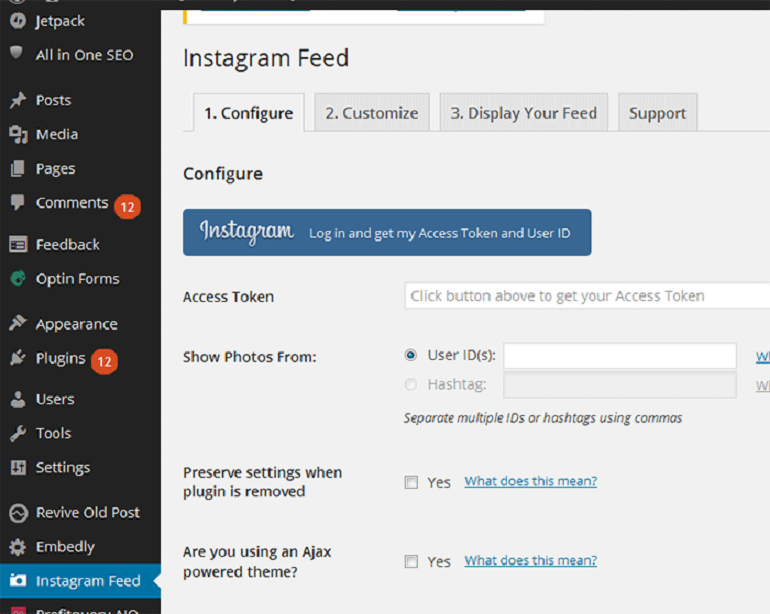 Using this plugin is probably one of the easiest ways to integrate your Instagram account with your WordPress site. The plugin has been designed with the motto of keeping the user interface as simple as possible. It gives you all the freedom to come up with the most elegant and stylish design that suits your needs and interest. This is another free plugin that you might want to consider for all the amazing features that it offers. This plugin responds beautifully to devices of all sizes and looks equally stunning on desktops, laptops and mobile devices. This plugin not only works on Instagram, but also works on other social networking sites like Facebook, Twitter and Pinterest. This plugin is a brilliant option to display content from various social media platforms in your blog. Moreover, you donot necessarily have to share content from your accounts only. You can share content from others feed as well. This can either be a photograph or even be a video. This plugin already has 60,000 plus active users and has been rated as a good choice by most of them. Displaying your Instagram pictures on your WordPress blog can definitely help you handle your social media accounts more effectively. It not only gets your more traffic to your website but also makes your WordPress blog appear visually appealing. Many entrepreneurs have tried this method and found that the results are amazing. 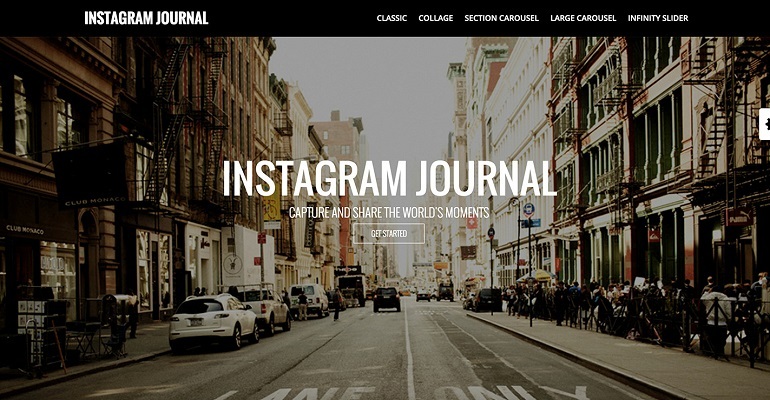 Have you tries sharing your Instagram pictures on your WordPress blog yet? Which method did you try ? Did it help you boost your website traffic? Let’s discuss in the comment section below. Kaveri is a full-time freelance writer who loves writing about WordPress and Digital Marketing. Detailed and informative article. Thanks for sharing. Nice post. You describe thing looking easy. Is there a problem adding a private Instagram profile on a WordPress site? How about having ifttt force the 612 image into a mobile responsive 100%?? My images are cropped on the right on android.